Over the weekend we celebrated Riley’s 4th Birthday with a Shabby Chic Princess Party. She had so much fun with all of her little friends and the Princess Party Favors went over extremely well, which was a relief for me. Even my nephew was excited about the prince pins. 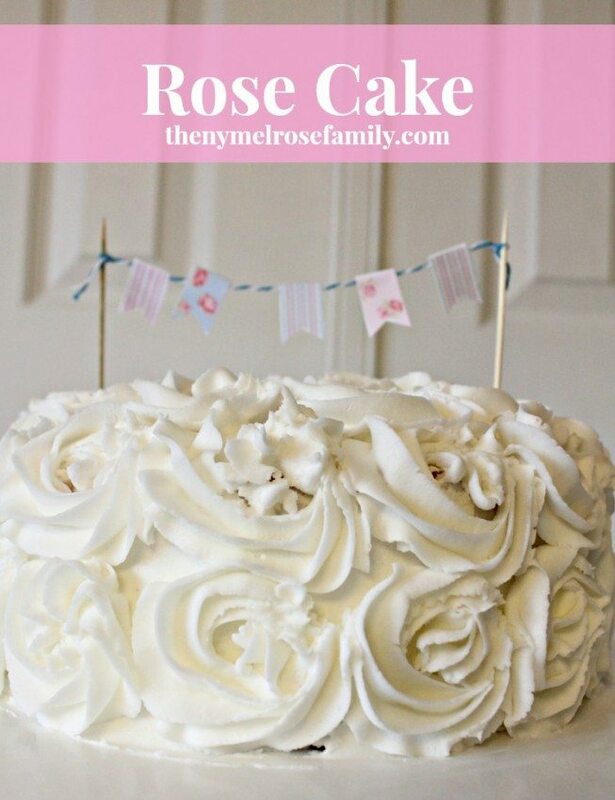 My favorite part of the party was defintiely the rose cake. It was my first time creating a cake using buttercream frosting roses and I was so happy with the outcome. 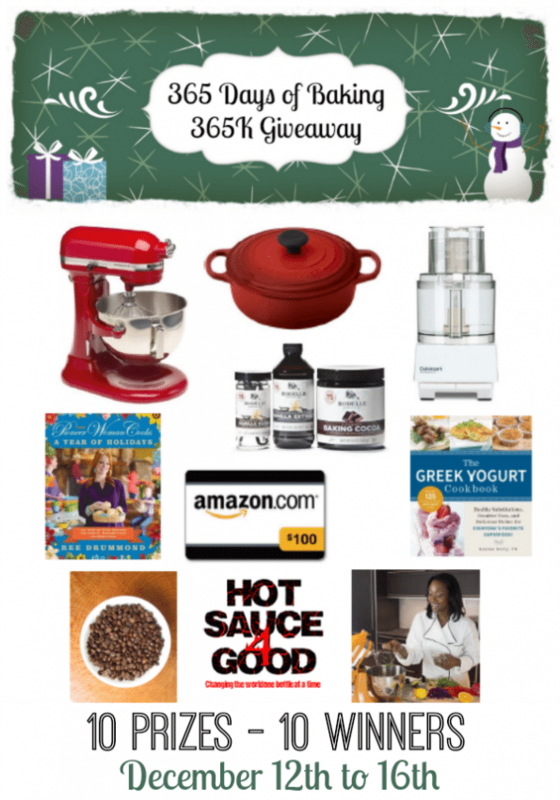 In order to continue to celebrate, I’m part of the 365 Days of Baking Giveaway that I’m so excited to offer to you. I was shocked at how easy the roses were to create. They were extremely similar to my Rose Cupcakes that I created for my parents anniversary. The best tip I can give is keep your roses the same size throughout so that it minimizes the gaps that you might end up with between the flowers. 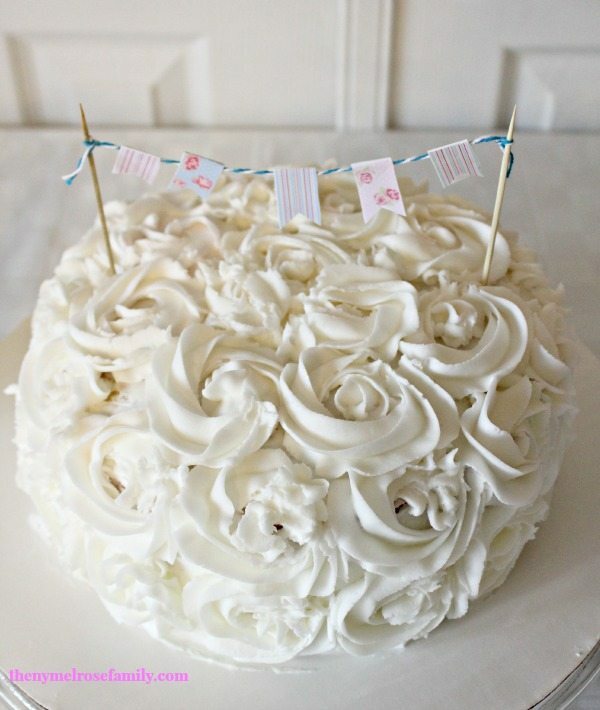 Also, make sure to completely frost the cake with a thin layer of icing before decorating with the buttercream roses. Now to get you all in the celebrating mood here is the fabulous list of prizes that you’ll have the chance to win by entering the giveaway.